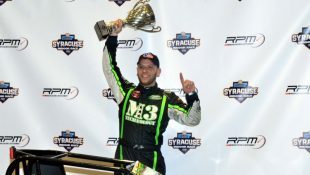 Dominick Who? 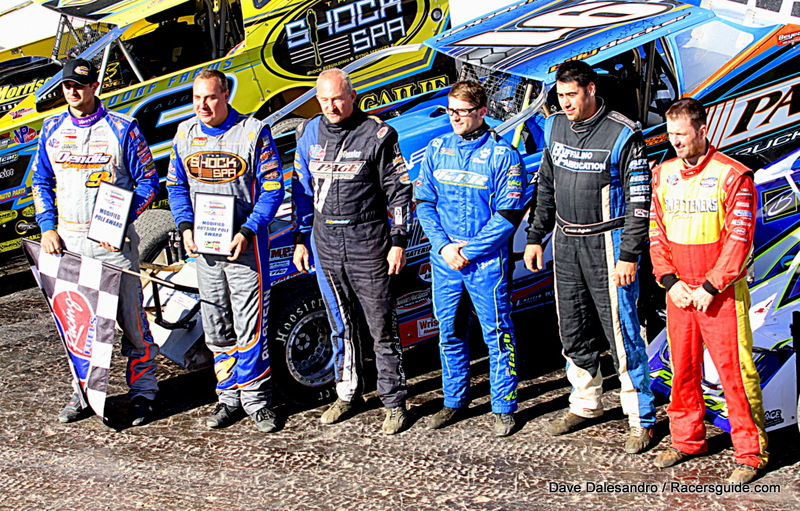 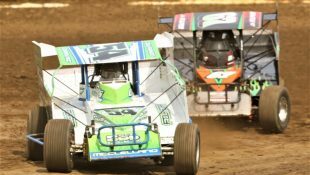 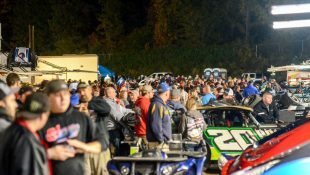 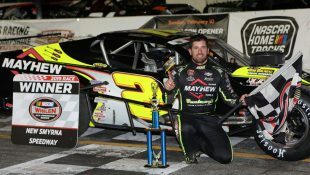 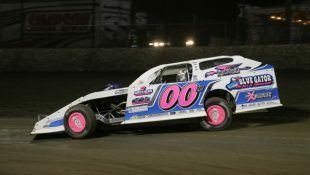 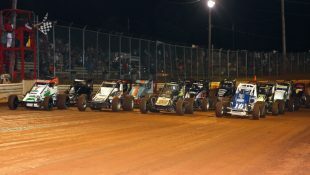 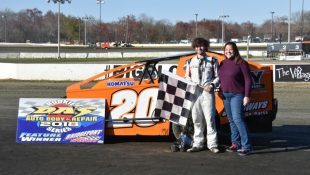 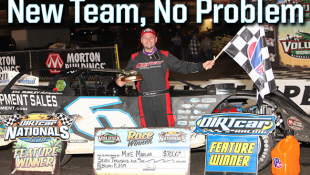 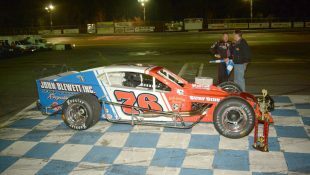 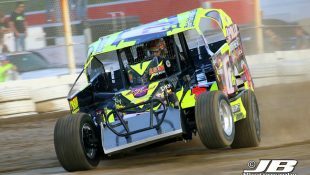 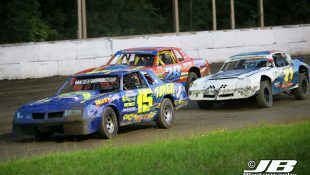 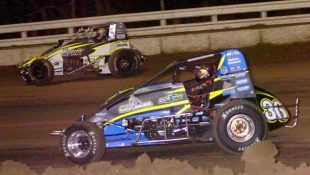 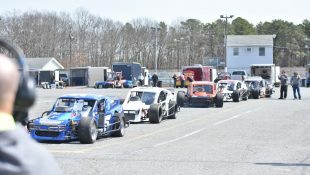 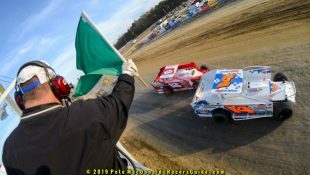 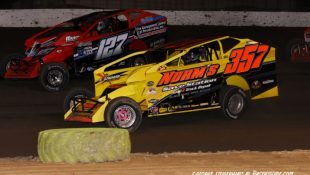 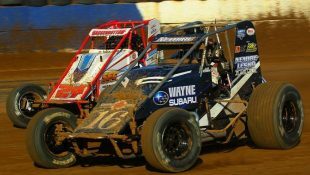 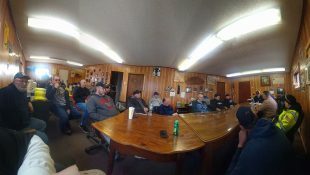 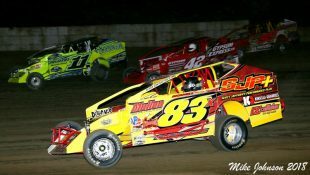 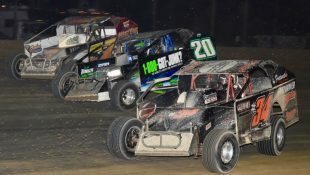 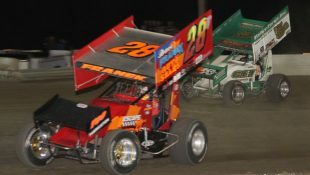 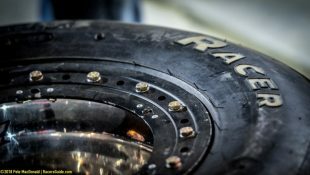 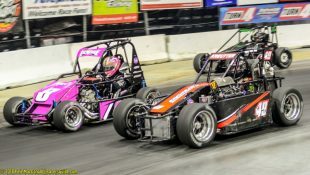 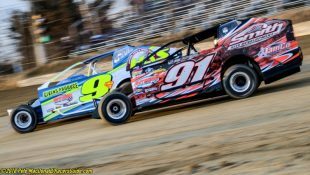 Buffalino That Is; Locked Into Oswego 200 :Racers Guide – The Web's #1 Racers' Online Directory! 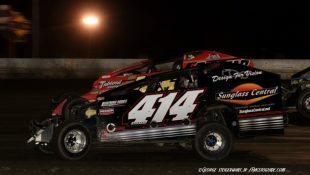 If you were to travel outside of the New Jersey and Pennsylvania circuit, many people wouldn’t know much about Dominick Buffalino. 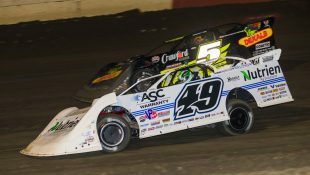 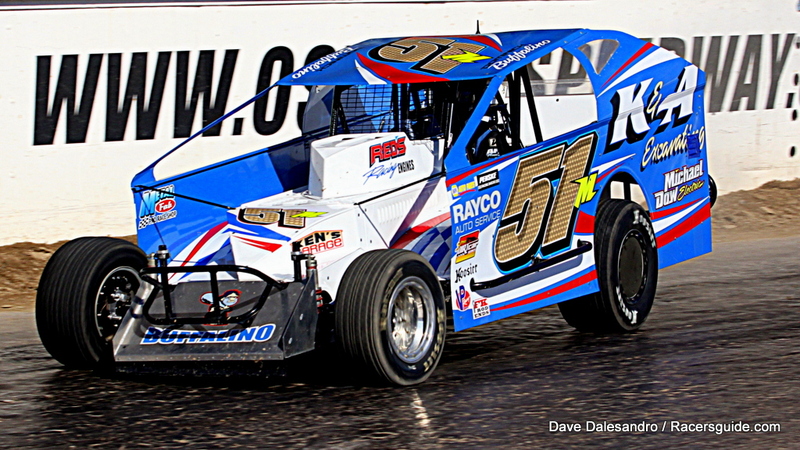 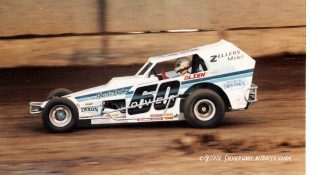 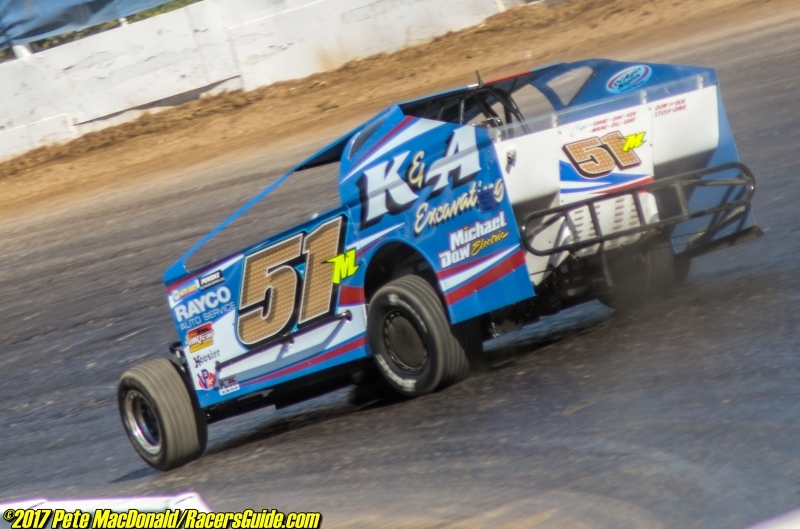 A regular at the Bridgeport and New Egypt Speedways, Buffalino driving well-known car owner Pat Michael’s No 51m will be starting 5th on Sunday for the Billy Whittaker Used Cars 200 at the Oswego Speedway in just his fourth career race at Super DIRT Week. 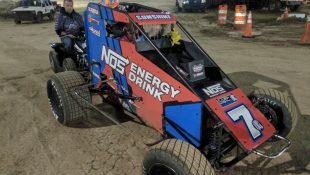 Buffalino who was grouped extremely late in time trials felt that might have given him an advantage over the rest of the field. 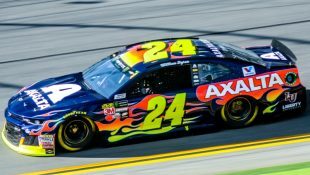 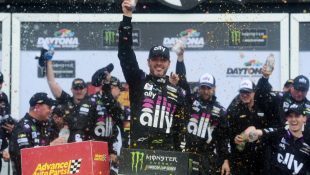 “The track was getting better, the first groups weren’t good I’m guessing cause the track was still dusty (on top of the surface) but after that it was getting faster, we beat a lot of good cars today, so I think we got something now” explained Buffalino. 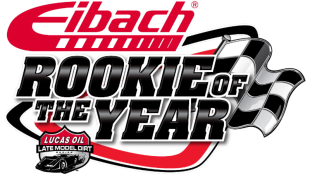 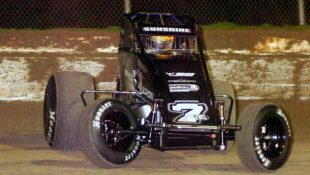 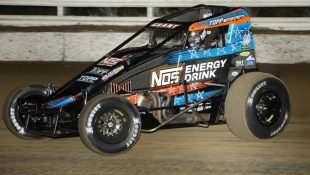 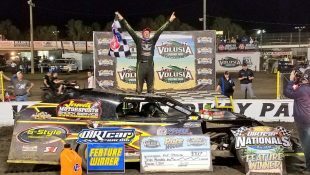 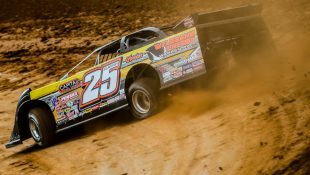 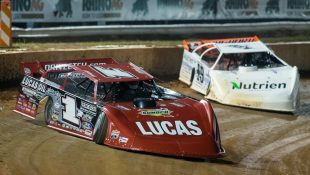 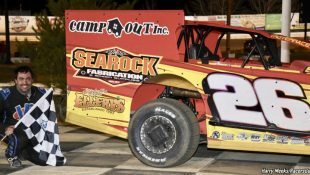 In 2014 when Dominick first ran Super DIRT Week his goal was to simply “make the race without looking like an idiot” as he puts it and finish in the Top-20, he would finish 21st that year. 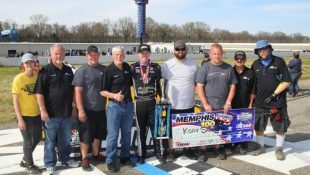 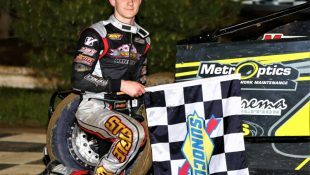 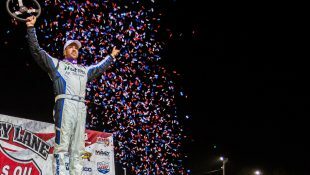 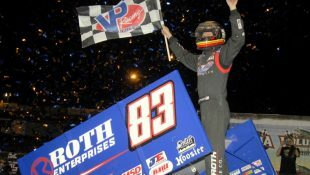 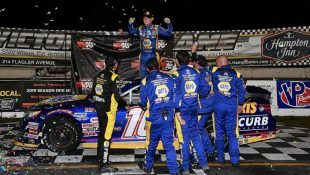 Then it was a Top-10 in 2015 where he would end up 12th then a fifth last year at Eastern States. 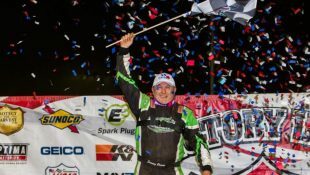 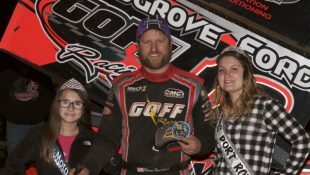 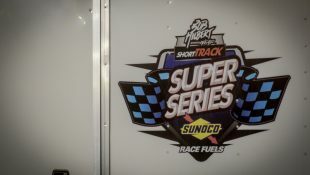 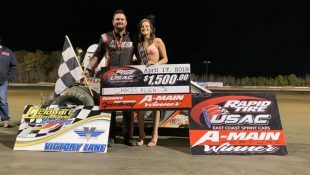 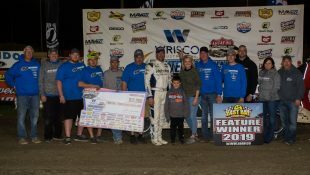 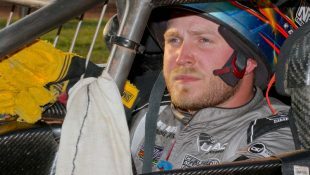 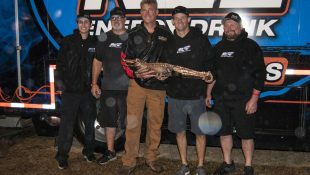 Before racing at Super DIRT Week Buffalino was known as one of the biggest partiers in the infield at Super DIRT Week, now he’s having a good time on and off the race track.